A Franconian woman has become the first patient in Germany to be treated with T cells from the stem cell donor to provide immune defence against herpes virus infections. ‘The aim of T cell transfer is to protect patients effectively against the deadly risk of certain herpes viruses after a stem cell transplant,’ says Prof. Dr. Armin Gerbitz (Oberarzt), a doctor of the Department of Medicine 5 – Haematology and Oncology at Universitätsklinikum Erlangen. Despite the effectiveness of modern medications, certain viruses can only be defeated by the immune system. The amount of patients who die after a stem cell transplant as a result of infections is still over 10 percent. The treatment of the patient in Erlangen was the starting point of a nationwide study on producing T cell preparations in accordance with the German Medicinal Products Act and the guidelines provided by the Paul-Erhlich-Institut, Germany’s national institute for vaccines and biomedical treatments. To avoid rejection after transplantation of stem cells from a sibling or unrelated donor, patients must be treated with medication which suppresses the immune system. As a result of this immunosuppressive therapy there is a very high risk of infection after stem cell transplantation. As only a small part of the donor’s immune system is transferred, the patient’s new immune system takes months and years to develop. This means, for example, that all basic vaccinations must be re-administered six months after a stem cell transplant. However, there are currently no vaccines available for certain important immune responses, such as those which respond to fungi and herpes viruses. Nevertheless, these immune responses must also be re-established by the body. A new phase I/IIa trial is investigating the effectiveness of transferring specific T cells to protect patients against two dangerous herpes viruses (the Epstein-Barr virus and cytomegalovirus) after a stem cell transplant. ‘Transferring T cells to patients essentially transfers an active part of the stem cell donor’s immune system to them,’ Prof. Gerbitz explains. Stem cell transplantation is an established treatment for malignant diseases such as acute leukaemia. The world’s one millionth stem cell transplant was carried out in 2013. ‘Considering that the number of transplants is increasing, it is important that more research is carried out on reducing the high risk of infection after a stem cell transplant,’ says Prof. Gerbitz, who is head of the team behind the nationwide study. Various research groups around the world are working on different strategies for reducing infection after stem cell transplantation. Until now, the main approach has been to use pathogen-specific T cells. Another Erlangen-based research group is currently investigating an alternative approach that uses memory B cells from the stem cell donor. Researchers at the Department of Medicine 5 at Universitätsklinikum Erlangen have been working on this new treatment which aims to improve immune response after stem cell transplantation in collaboration with Dr. Andreas Moosmann from Helmholz-Zentrum München for over five years. In the current study, on the other hand, activated T cells produced in a culture from the original donor’s cells are transferred to the recipient. T cells are cells of the immune system that play a crucial role in defending the body against viruses and fungi. ‘Our current study aims to show that we can produce T cells in line with the strict requirements of the Medicinal Products Act and that they can be used effectively to protect stem cell transplant patients against two herpes viruses,’ Prof. Gerbitz explains. ‘The first patient tolerated these T cells very well.’ By the end of the year, other patients at university hospitals in Munich (LMU), Regensburg, Mainz and Berlin (Charité) and at Klinikum Augsburg will be able to take part in the study. The phase I/IIa clinical trial fulfils all the requirements in the German Medicinal Products Act. The T cell preparations are prepared by the Department of Transfusion Medicine and Haemostaseology (head of department: Prof. Dr. Reinhold Eckstein) at Universitätsklinikum Erlangen according to good manufacturing practice (GMP) guidelines, ensuring the highest possible quality. The funding for the study is being provided by the Bavarian State Ministry of Education, Science and the Arts as part of BayImmuNet and by the German Research Foundation (DFG). 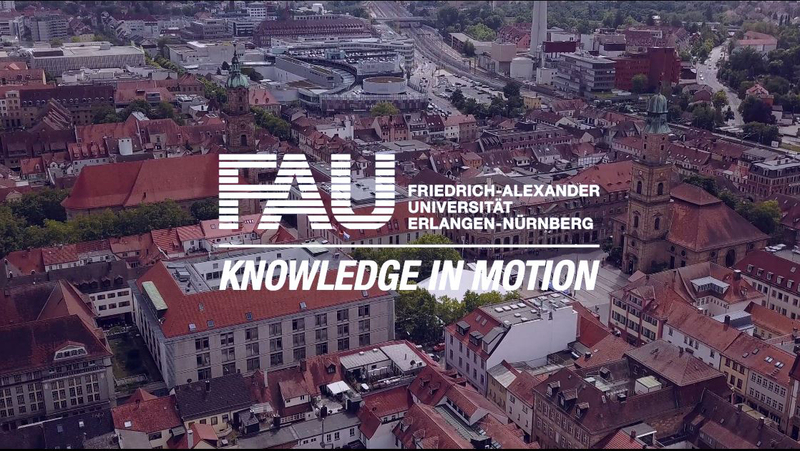 A large proportion of the costs of patient care are being financed by Universitätsklinikum Erlangen, while the Center for Clinical Studies (CCS) at Universitätsklinikum Erlangen and FAU’s Ethics Commission are providing consultation with regard to this care. The plan for the clinical trial was approved by the Paul-Ehrlich-Institut on 23 June 2014. For more information, see www.medizin5.uk-erlangen.de.